The Tregunno Group in Burlington, in collaboration with Youngs Insurance Brokers Inc., have access to a wide range of commercial insurance markets. Protect your hard-earned assets with smart insurance coverage. Your business has a wide range of assets, from your valued employees, to office space and equipment, vehicles, inventory — and, of course, you! To protect these assets, you need a comprehensive, custom plan that actually fits the business you've created. We're specialists in insurance risk management, and we take tremendous pride in the personalized, expert service we provide our business clients. Our team creates customized insurance plans for our commercial clients that fit each of their unique businesses like a glove. Plans for different types of businesses, from wineries and restaurants, to contractors and variety stores. We'll carefully evaluate the unique insurance requirements your business presents, and provide a tailored coverage solution that will address each risk exposure it faces. We're here to help you protect your business, each step of the way. 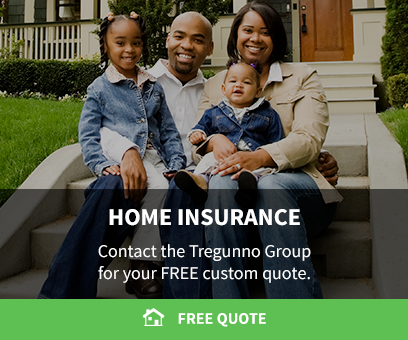 Get in touch with the Tregunno Group team today for a FREE, no-obligation commercial insurance quote for your business' unique requirements. Taking on an insurance claim can be challenging, but you're in good hands. We'll be there to guide you through the process, and advocate on your behalf. Fill out the form below, and a member of our team will be in touch to discuss your quote.